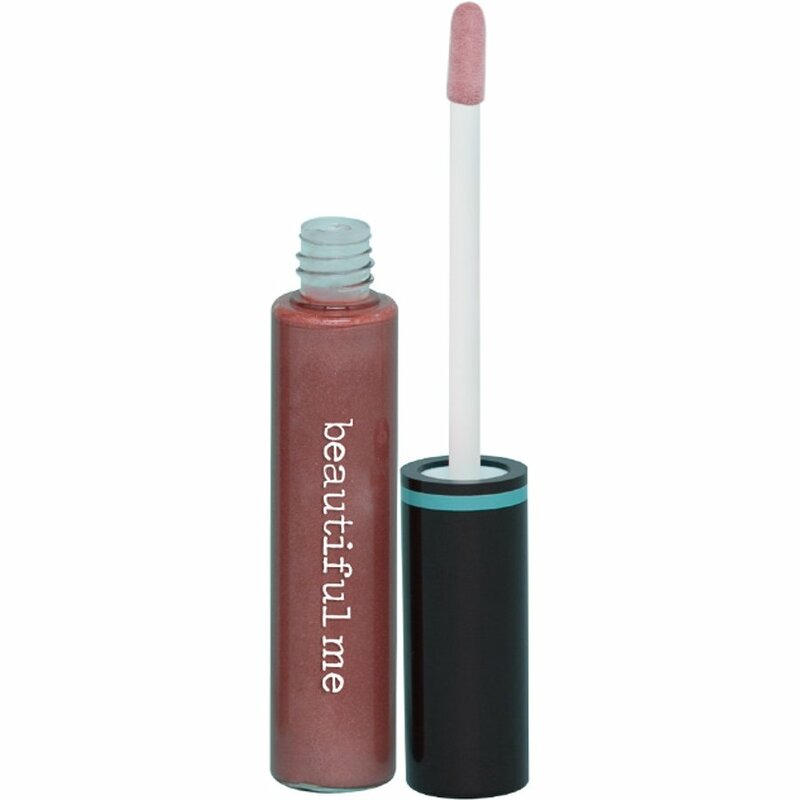 This glossy pinky brown Indian Brown lipgloss from Beautiful Me is made from natural minerals and is free from harsh chemicals. The non sticky formula is rich in jojoba oil and will leave your lips glossy and moisturised. Wear the gloss as it is or add a sprinkle of your favourite BM Beauty mineral to customise your colour. The possibilities are endless! • Free from parabens, synthetic dyes, sulphates and animal products. • Add a sprinkle of eyeshadow, bronzer or blush to create your own custom colour gloss. • For Kimberly's glossy dark red lips, mix Jewel Lip Gloss with Velvet Dawn Blush and a touch of Noir Eyeshadow. Natural Wax Jelly, Oleic/linoleic/linolenic polyglycerides Sucrose acetate isobutyrate, Simmondsia chinensis (jojoba) seed oil, Ricinus communis (castor) seed oil, Mica, CI77891, Medium chain triglcerides, Berry fruits flavour fla 12996, Ci77742, Tocopheryl acetate, Silica, CI77491, CI77007, Tin oxide, May Contain CI77742, 77491, 77492. The Beautiful Me Lip Gloss 8ml - Indian Summer product ethics are indicated below. To learn more about these product ethics and to see related products, follow the links below. There are currently no questions to display about Beautiful Me Lip Gloss 8ml - Indian Summer. In 2010 BM Beauty was co-founded by former Pussycat Doll and Got To Dance judge Kimberly Wyatt and Love The Planet skincare founder Laura McComiskie. Their aim was to create a high performance, mineral make up brand without the high price tag. So what makes BM Beauty make up so great? Well here are just a few reasons. Firstly, it's cruelty free, the brushes are made without animal products, and all products have the stamp of approval from the BUAV and PETA. BM Beauty make up is also free from bismuth oxychloride, parabens, nano particles and synthetic dyes and fragrances, making it a natural choice. BM Beauty make up is lightweight and allows your skin to breathe. You can create a flawless complexion without clogging pores and causing further breakouts. Skin perfection with a 'no make up' feel - what could be better?